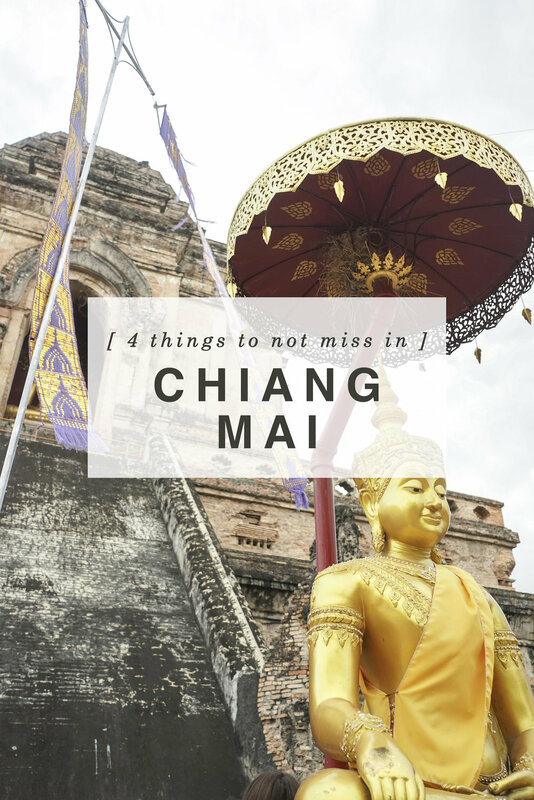 If you plan on heading to northern Thailand - which if you’re not, you most definitely should change your plans - Chiang Mai should be at the top of your list. The northern part of the country is pretty different from the south, the islands and even Bangkok. The food was a little different and weather is a little cooler, which during the hot season is great. Located outside of the Suan Dok gate on the west side of the old city. I think this was my favorite temple we visited by far probably because I’m a sucker for anything pure white with a touch of gold. This though was a little more than a touch of gold. The main part of the temple is this beautiful, spherical structure that, as you can see from the pictures, steals the show. We spent a crazy amount of time here taking pictures because it was just that pretty and so serene. Also, it’s probably because we had one of the best meals just around the corner from this temple. No idea what it was (no it wasn’t curry or pad thai), but oh was it delicious and under $2 for two people. Located in the middle of the old city, we hoped in a city taxi to get to this temple. It also took us a few minutes to realize we were in a taxi because this truck pulled up to us, asked us where we were going and told us 30 baht, so we hoped in. That sounds sketchy writing that, but it wasn’t at all at the time considering there were other people inside. They just definitely were not the metered taxis that we’re all used to and literally were just benches put into the bed of a pick-up truck with a cover on it. The back was open to jump in and out of. I’m just going to go with city taxi. There is small fee to enter Wat Chedi Luang. At first you enter a temple that looks much like other temples you can see around Thailand. In here, you can find a Buddhist monk where you can get blessed. I did this! It was an awesome experience. I actually thought that was it, but then we walked around to the back of that building and I couldn’t believe my eyes. 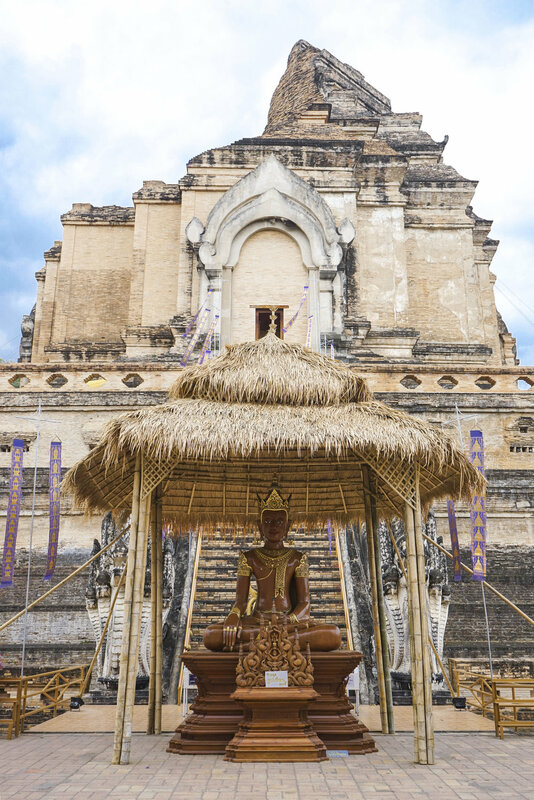 Unlike a lot of the temples you see in Thailand, there is absolutely no gold covering this one. It was a lot more organic and still breathtaking even though there was damage to it during an earthquake. 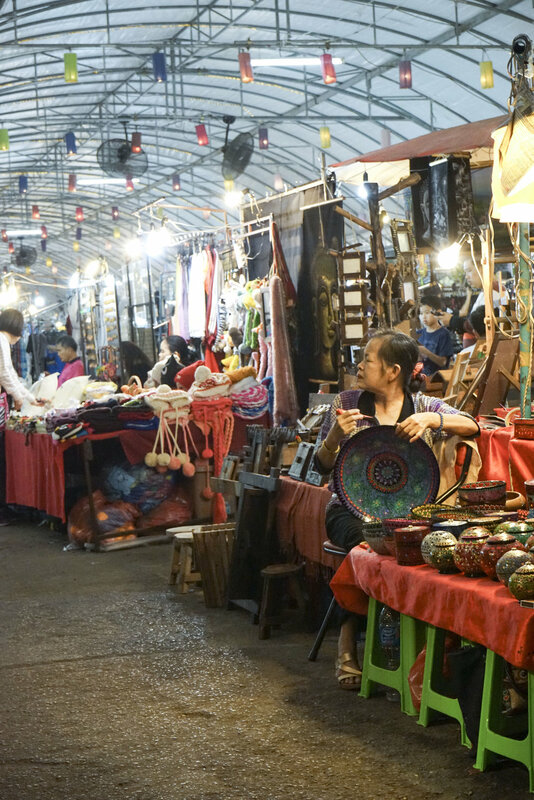 The Night Bazaar is east of the old city and is one of the best spots you can shop and eat in Chiang Mai. I’m telling you the great hall area, well, not really hall, more like tented structure, is filled with everything you want and don’t need. I ended up with everything from kaffir lime leaves, to a handmade christmas ornament and a painting. Random, right? There are stalls everywhere - they even line the main street, not just the main bazaar area. Shop till you drop, but don’t forget the most important part - bargaining! And just to toot my own horn, I’m really good at bargaining. After bargaining for a very real looking genuine fake designer bag in Bangkok, the seller told me that I was a little too good. I’ll give you pointers if you want! If I could eat the food from the street cart that was outside of my airbnb during my stay in Chiang Mai everyday, I would be one happy camper. The sausages and meat they sell are so flavorful that I can still taste it now. One night we got back later from our tour than expected. It was so late that we wanted to quickly grab something and go back to our airbnb. Instead of grabbing something from instead the local convenience store, we notice a few food carts. They didn’t speak much English, but it didn’t matter. 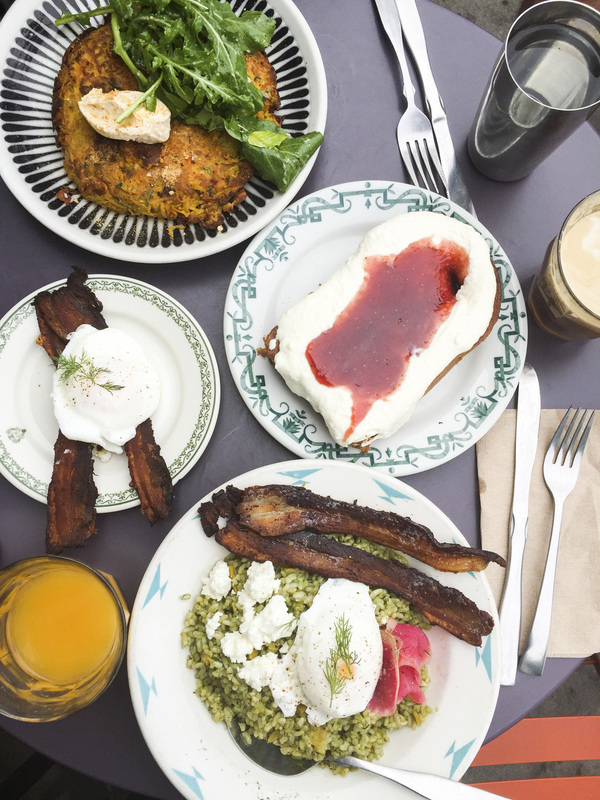 Food is a universal language, right? I got a sausage and a pork rib. My sausage had pieces of rice in it and one of the best flavors I’ve ever had. I didn’t get a chance to visit Wat Phra Thai Doi Suthep due to lack of time, but I’m adding it to this list as an honorable mention. I’ve heard it’s absolutely gorgeous up on the hill. I hope one day that I get to travel to Chiang Mai again. Only a couple days spent here was definitely not enough. And I hope one day all of you will get to visit these can’t miss sites! Yes, there are a ton more things to not miss, don't worry I've got more Chiang Mai posts coming down the pipeline! 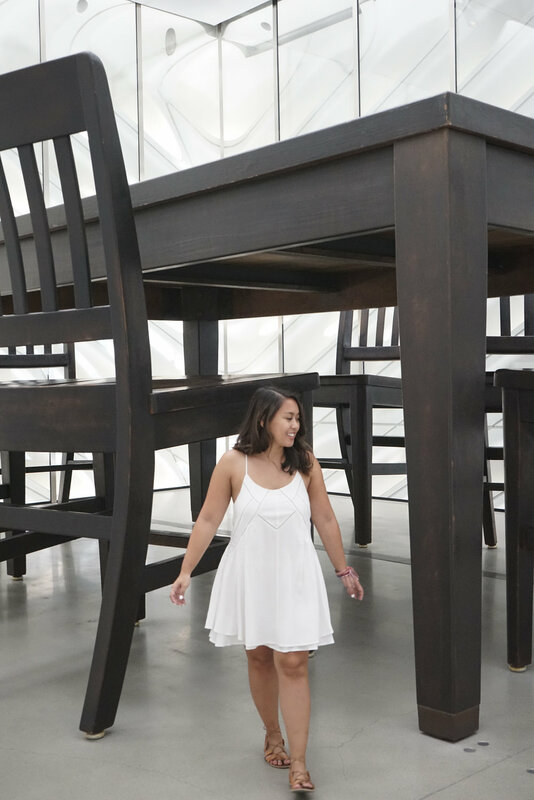 I’ve been wanting to write about going to the Broad since the first time I went, back in January, but for some reason I just didn’t think it would be a great enough post. 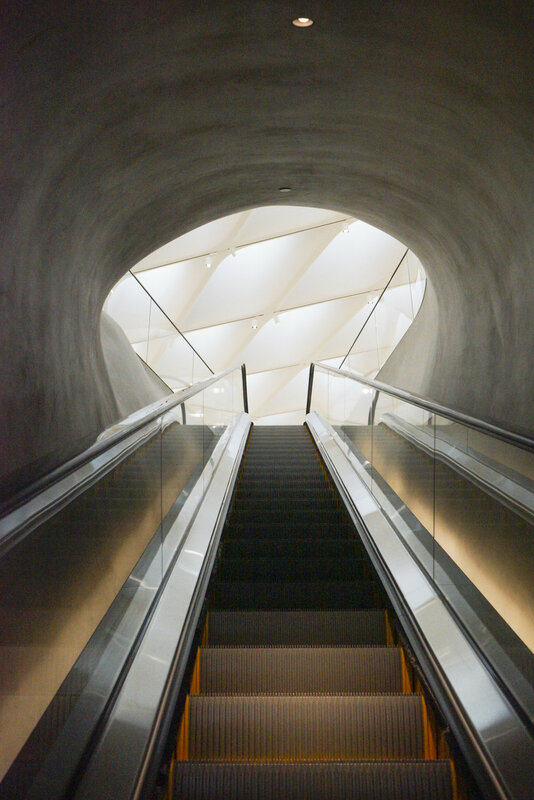 I, recently, returned to visit the Broad museum a few weeks ago. This time was different. My friend and I solely went to see Yayoi Kusama’s Infinity Mirrored Room. The first time I went with my mom was when I could get the tickets for - after work on a weeknight. This meant only having a couple of hours in the museum and no chance at being able to see the Infinity Room (since spaces fill up to see the room within the first 2 hours of opening). And all I wanted was to see the Infinity Room. After finally getting to experience the infamous room, I finally felt like I could do a little more justice by writing a post. 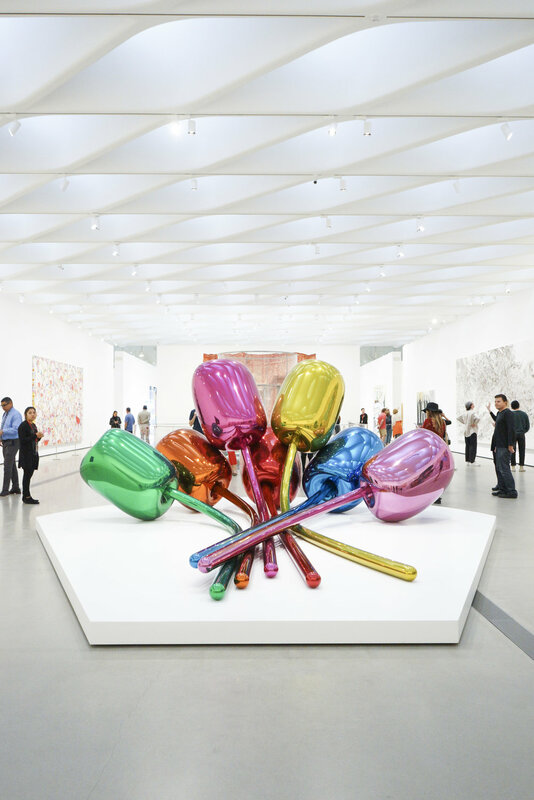 The Broad Museum is really relatively new to the Downtown Los Angeles scene and just next door to the Walt Disney Concert Hall and MOCA. 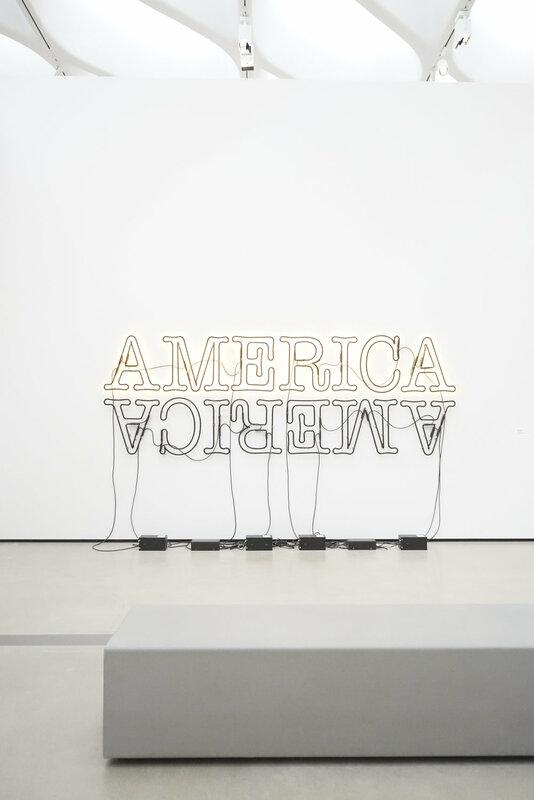 Founded by philanthropists Eli and Edythe Broad (pronounced Bro’d not Bra’d), this museum is bursting with contemporary pieces of art. The building design in itself is a piece of work. 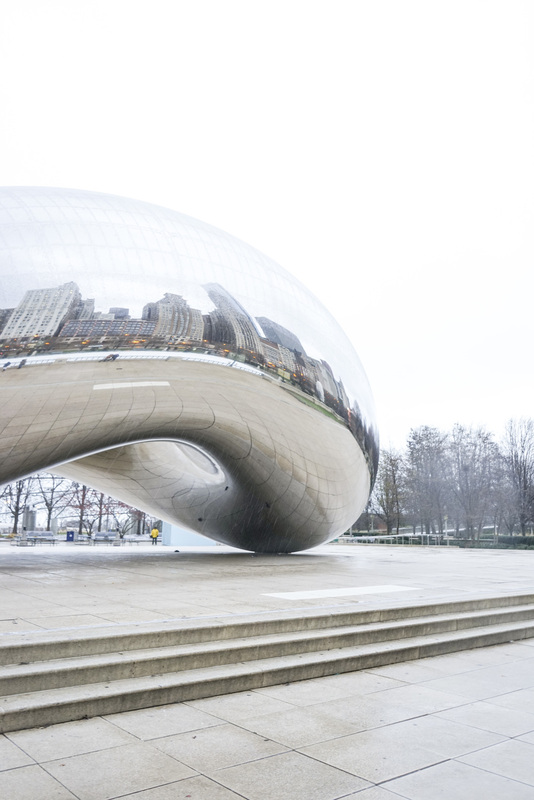 You’ll definitely be taking pictures in front of the buildings’ textured white exterior. 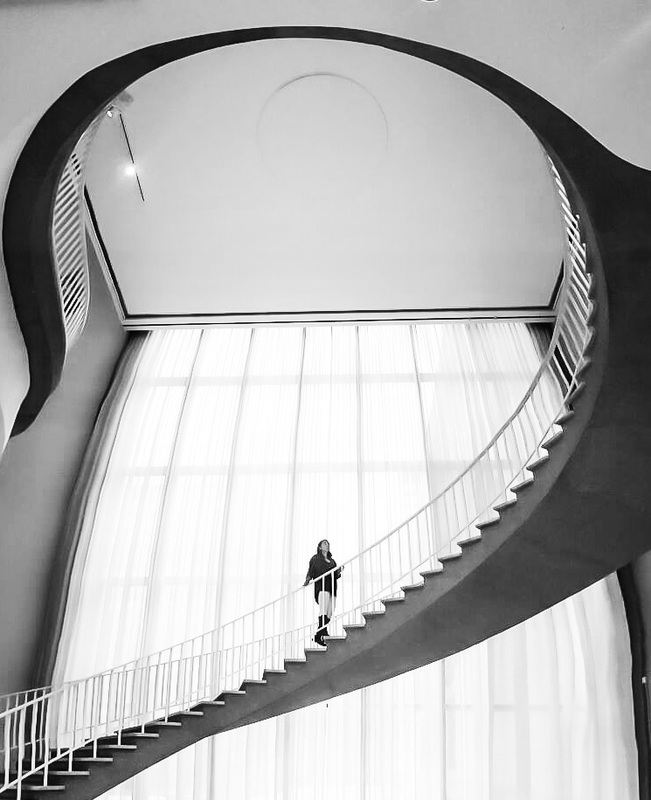 If you are able to get into the museum within the first 2 hours then you may be lucky enough to get in to see the Infinity Room. My friend and I were part of the first 10 people to enter the museum since we had the first time slot for reservations. You only get 45 seconds in there, so go with a plan! I’m not going to go into huge detail about the magic (this is quickly becoming one of my favorite words) that is the Infinity Room, you’ll just have to see it for yourself! After that, you can check out the rest of the museum! The long escalator up to the second floor, where all of the pieces are, makes you especially anxious to see what the light is at the end of the tunnel. The museum is so full of light and airy-ness. If you’re feeling hungry, head next door to the Otium restaurant. It is a little more on the pricey side, but my goodness, the food is so delicious and the plating is gorgeous. Go hungry. I definitely don't usually post about random things, but I thought this was fitting for a downloadable tech post. In fact, it inspired it. Jessica at www.doodlemetravel.com (check her out!) nominated me for a Liebster Award. No, not a Lobster award, auto-correct! The Liebster Award is a perpetual chain of nominations, where established bloggers encourage and support the new ones by promoting them through this award. 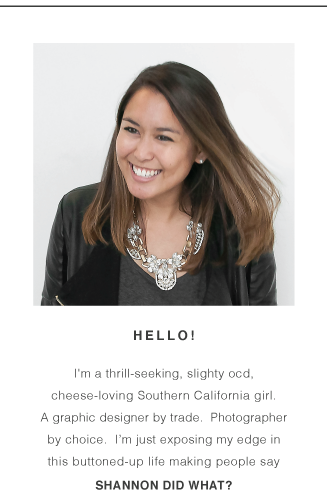 This is what Jessica so kindly wrote about me - "Shannon is an adventurous soul. She loves to try new things and inspires others to do the same. She has a passionate way of describing her experiences that will make you want to follow along with her.” This really meant a lot to me because after all of this blogging and trying to make changes in myself for the better, someone who is a total stranger, is seeing me the way I view myself. An adventurous soul who passionately loves to try new things and inspire others along the way. Anyway, she's asked me to answer a few questions and then I have the chance to nominate a few fellow bloggers. Is there one sentimental item that you bring with you wherever you travel? If so, what is it and why does it mean so much to you? I usually pack the same things with me when I travel. You know, my “go-to” travel essentials, but I wouldn’t say that one is super sentimental for me. I, do, always have a photo of my family on me, which nowadays I guess is not completely necessary with cell phones. Explain how you felt when you went on your “first major trip” abroad. My first major trip abroad was when I was going to study abroad at Magdalen College at Oxford University in Oxford, England the summer before my senior year of high school. Man, that was a mouthful. I was flying to England with only one of my closest childhood friends, so I think our parents were more worried than we were since we had each other. Had I been flying alone, this probably would have been a different story. I was just stoked to be traveling to a study in a new country and for all of the adventures I knew I was in for. What is one cultural difference you have encountered abroad and what did it teach you? I’ve definitely encountered a ton of cultural differences each place I’ve traveled, positive and negative. There have been complete language barriers, polite or impolite local people or even hand signals that can mean something different than you may think it means. The people of Japan, for example, are some of the most hospitable I’ve ever met. They form organized lines to ride up the escalator and even to wait for the subway. It eliminates so much chaos and animosity and was a great positive cultural difference to experience. 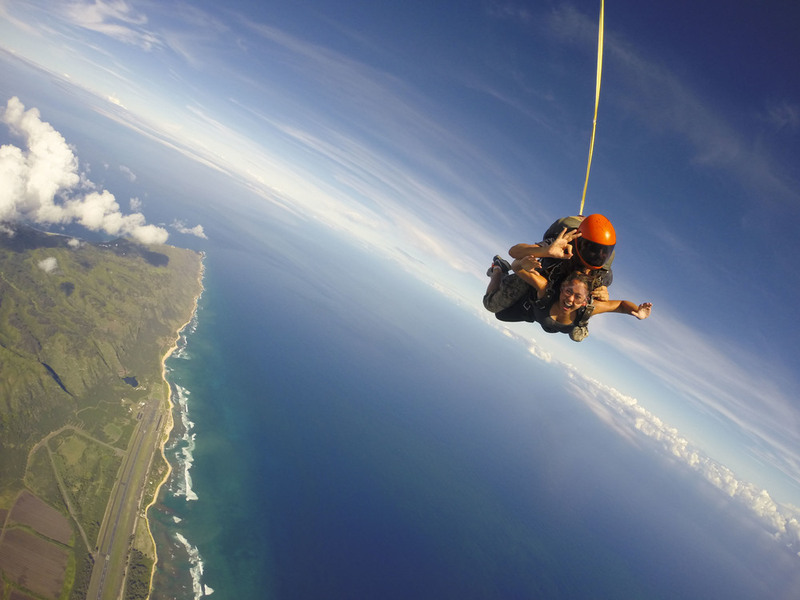 What location is next on your bucket list and why? I, literally, want to go everywhere, so this question is pretty difficult to answer. I want to go to Iceland, Ireland, Australia - the list goes on and on, but my next trip will be this December to Thailand! The Pretty Relaxed - Every time I think about Madison over @theprettyrelaxed, I think of her big, infectious smile. I just want to hang out with her because of her fun posts. You will too. Stories and Suitcases - If you don't fall in love with Andrea's beautiful Instagram feed @storiesandsuitcases, you're crazy. When you head to her blog, you will literally want to jump on a plane to join her on her adventures from the fantastically vibrant photos she posts. 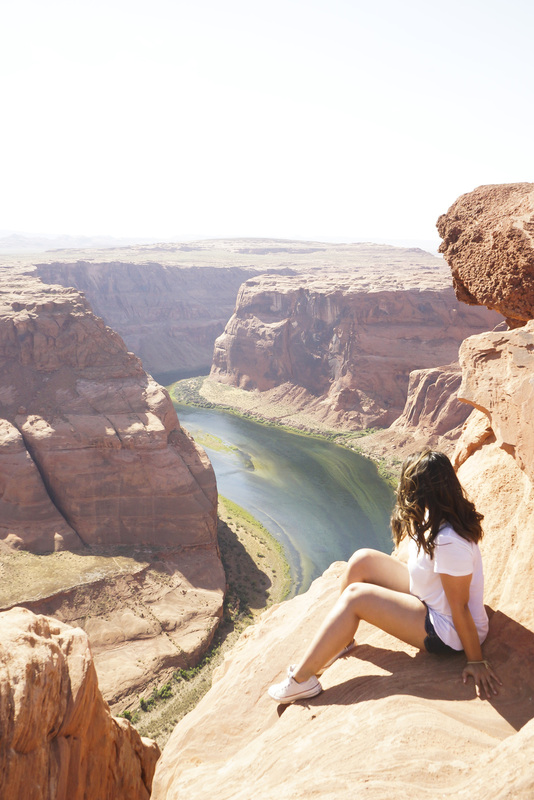 Seven Day Weekender - Lindsey over @sevendayweekender will show you a whole new perspective on the world through her eyes. She has crazy good insights about all of the places she visits that you should definitely check out. Jacqui Travels - Jacqui @jacqui.travels is the kind and inspiring type. She frequently posts inspirational quotes with her Instagram posts and the honesty that she has in her blog posts is super refreshing. Nominees, here are your questions! If you could pick one, where has been your favorite travel destination and why? 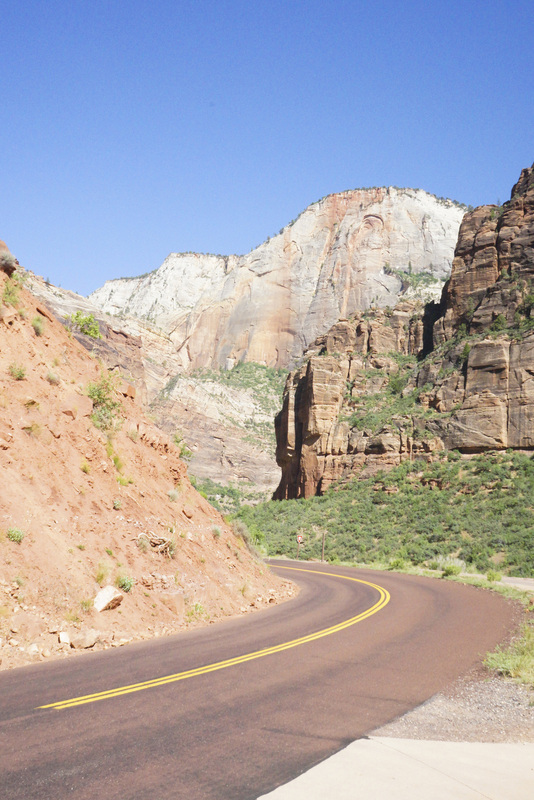 Choose one travel style: getting lost or being on a tour? Do you have a typical souvenir that you get from all of your travels? Top 3 bucket list travel destinations? Post the award on your blog so everybody knows how awesome you are. Answer their questions about yourself, feel free to add photos! Nominate 5 – 10 people with less than 1000 followers, inform them via social media.